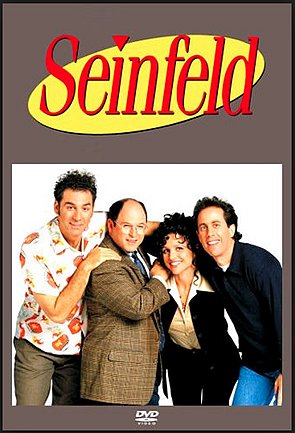 Watching "Seinfeld" and then "Curb your Enthusiasm," has taught me to look for the universal truths, if not humor, in the mundanity of everyday life. Web design has as much mundanity as any other profession, but if you look carefully, there are patterns or trends (in addition to Responsive Design) worth noting that can help you transform your website from mundane to magnificent. Drop lengthy copy and images into template. With this process, design could sometimes be a formulaic exercise. 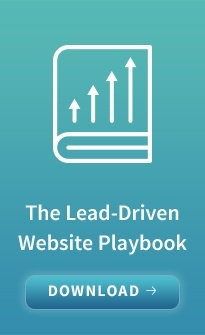 Today, companies that need a b2b website want to use the design process more iteratively. They want to use design dynamically to test ideas and make decisions about the content they need to display. This is the "Design Thinking" approach that product design companies such as IDEO have been using for years. It is more collaborative and treats design as a means rather than an end. Expect to see more of this fluid approach in 2015 and beyond. Collaboration and a focus on relevant content, is more important than preciousness of design. As designers, this makes us more valuable partners and requires us to be even more engaged in our client's strategic marketing issues. Responsive Design, the defacto website standard, which enables a website to seamlessly reconfigure itself for mobile devices, automatically stacks website content to enable easy scrolling. Tiles naturally contain bite-sized chunks of content that fit inside often colorful blocks, that are easy to read in a stacked mobile device scenario. Tiles are inherently flexible; you can remove and replace content at will and easily move tiles for more advantageous placement within a tiled web design. The need for mobility and flexibility are not going away; use tiles to benefit from both. With mobility dictating the aesthetic and functionality in website design, as I mentioned before, the typical design of 2015 and beyond is the long scrolling page. One of the most frustrating things for website visitors is not knowing where you are or how to get back to the main menu, without having to hit the "back" button. Enter "sticky menus." Sticky menus are those that when you start your long scroll, the menu bar rather than scrolling up and out of view, remains fixed at the top. Even if you scroll to the bottom of a long page, the menu is always right there — you know where you are and where you can go. Sticky menus are easy to do, they have some "cool factor" and most long scrolling sites are more user-friendly for having them. High tech firm, Domo's website is a good example of a sticky menu. The desire to read has atrophied. Consequently, as designers, we are making up for that with another design trend --- the use of large, panoramic images and pithy visual icons accompanied by scannable snippets of text with copious links to deeper content for those who want to "learn more." With images taking up such an important place in the new realm of web design, designers either need to dust off or develop their art direction skills toward curating visual brands that are not just larger renderings of stock photos. Designers have to create unique visual libraries of specific images, icons and info graphics that will quickly differentiate and elevate brands from the ubiquitous visual noise. Qualcomm, a large Telecom company is a strong example of a well art directed website that combines large, interesting images, a unique icon language and short snippets of linked, lead generation content. Clients, for their part, need to consider investing more in unique imagery and giving their designers the freedom to work with real photographers and artists to craft more strategic visual brands that actually payoff their website visitors need to engage through visuals rather than lots of text. In the B2B world, there is still a disconnect between client expectations and client budgets with regard to creating a powerful and not hackneyed — royalty-free photography dependent — visual brand identity. The effort to standardize has been going on a long time in the design profession. For years the AIGA tried to develop a Certification program for Graphic Designers to indicate that one has the requisite skills to hang out a shingle. It never took. The W3C has had some mild success with devising web standards for people with disabilities. Enter Google Material design, which targets the design of Apps and to some degree websites with a set of Best Practices for everything from use of color, fonts, interactivity and usability. It is a thoughtful program that is a great reference tool for designers, developers and entrepreneurs to use when trying interactive things for which they may not have deep experience. Thinking about what's next for your Website? Consider employing these trends and finding a web design partner with whom you can collaborate. Push each other to do something great!